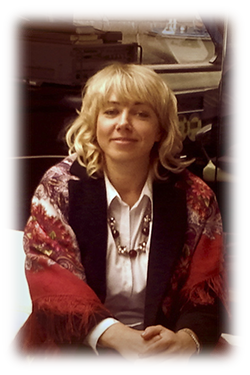 The Folk Show "Feel Yourself Russian"
Let me introduce myself- I am Natalia Bazhenova , a professional English speaking high degree licensed guide with deep and extensive knowledge of Saint-Petersburg and its environments. I have more than 15 years of professional experience. My service is for individual tourists, who are going to visit our wonderful city Saint-Petersburg, who are looking for a personal guide or a guide-driver by an own car. My driving experience is 10 years, my car is a new Scoda Octavia. Also I can hire a professional driver with a car or a minivan as needed. My drivers are experienced, professional, and reliable, whom I know personally. They have their own cars, as a rule. I am offering individual 1-5 day programs (or tailor-made ones), excursions to different city or suburban museums. I have preferred access to all famous attractions which allows to avoid long waiting time. I have two higher educations- in Pedagogy and Philology. I am married, have a son. My hobbies are art, history, different sciences and practices what are named “healthy life-style”. I love my profession and my magnificent city, named by the locals and the guests in different ways: “ Venice of the North”, “Cultural capital of Russia”, “ Museum under the open sky”, but I prefer another name- “Symphony fixed in stone”.